I just love this book!!! The book begins quite simply--an ordinary family is sitting down eating together--when--Ding! Dong!--a penguin is delivered. 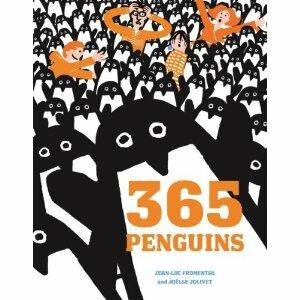 Every day, this family receives one penguin, no more, no less, so by the end of the year they have 365 penguins. As anyone could imagine--having this many penguins causes many problems. The writers incorporate math as a way to care for the penguins--but even math can't help them with the sheer chaos of raising penguins. It is well illustrated and a fun way to incorporate math into a unit on penguins. I couldn't possibly mention my favorite penguin books and leave out Tacky--I might be sent to time-out for that oversight. Tacky is a odd bird, even for a penguin, but a very nice bird to have around. Seriously--the students will love Tacky for his unique behavior--and how that behavior always seems to save the day! It is a great book to talk introduce or discuss character traits. 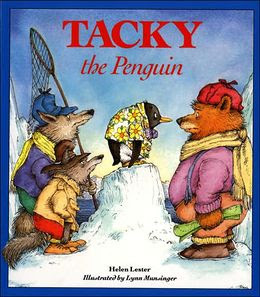 My all time favorite Tacky book--Tackylocks--a fractured fairy tale! Right now, I am in love with fractured fairy tales and how they can be used to teach students how to write and different elements of a story. Unlike most penguins, Cuddly Dudley isn't very social. He would rather be by himself, but Dudley is so cute that his family just loves to tackle and cuddle him. One day Dudley wanders off, and eventually gets lost. When his family finds him, he loves being cuddled. There are some other twists and turns--but needless to say the illustrations are wonderful--it is a wonderful book to talk about story organization. I first came across this book eight years ago when I started watching Scholastic Storybook Treasures with my now fourth grader. I tried to find the video on YouTube, but no luck. I did, however, find a preview on Amazon. I love how the poems are fun, well-written, and informative. There are even skua birds involved! I think my favorite poems are the riddle poems. 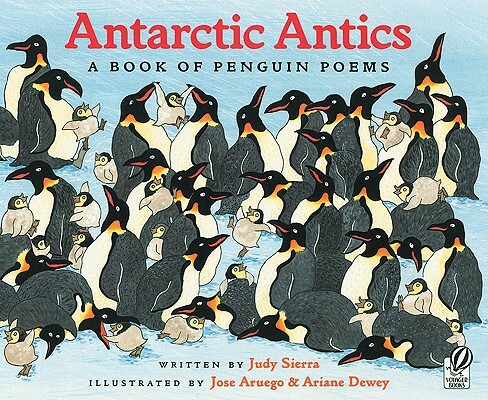 This is a great book to use in studying penguins, poetry, or just a fun read aloud! 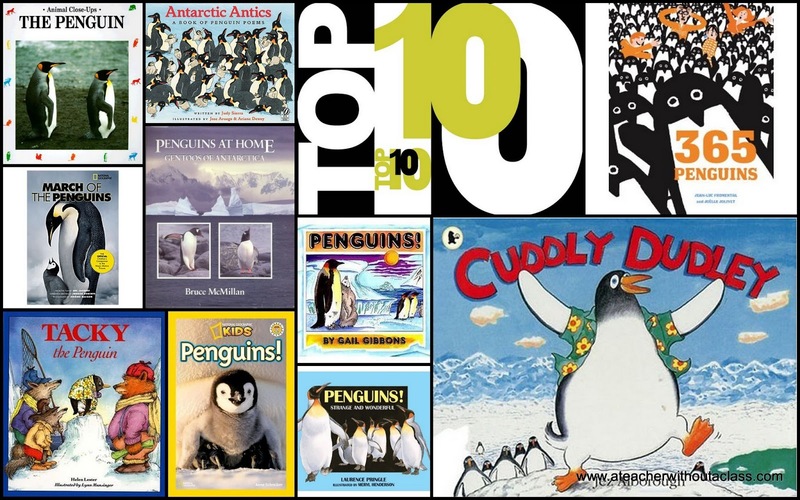 As I started researching penguins, I really enjoyed reading nonfiction books about penguins. They truly are an interesting bird--a force of nature--miraculous in their adaptive characteristics for survival. Sixty percent of my recommendations are informational book: nonfiction. I love Seymour Simon's books. About three years ago, I was able to hear him speak at the International Reading Convention. It was a wonderful opportunity to learn how his joy of science and language developed into writing many, many nonfiction books. I always recommend his books! Each page of the book has a beautiful photograph of a penguin, then goes on to describe and give characteristics about many of the seventeen species of penguins. If Seymour Simon wrote a book on a subject I was studying in the classroom--I will always read it to the students! 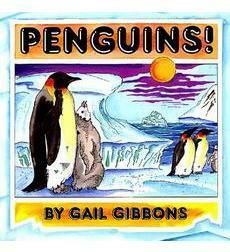 Gail Gibbons, another wonderful nonfiction writer, has written and illustrated this book. If you were to ask me which is my favorite illustration, I couldn't name one. They are all wonderful!!! 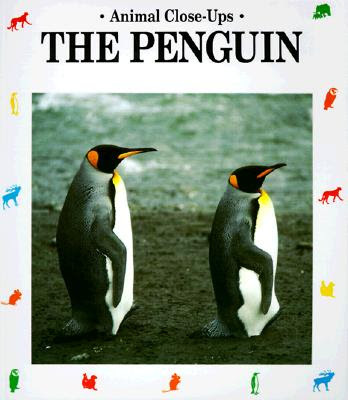 It explains different mating rituals of many of the penguins, identifies penguin's body parts, and of course presents information in an interesting manner. We are lucky, that both Gibbons and Simon wrote books on penguins. Both can be used as a read aloud in primary grades and a resource for upper grades! I have always enjoyed National Geographic Kids books. The book has photographs and disseminate information in a fun clear manner. My own children always want to buy these books for their jokes--and become very excited when they have new jokes to tell. 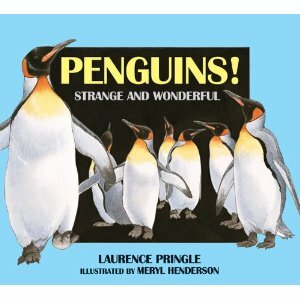 Love this book and love that independent readers can read and learn about penguins on their own. In 2005, many of us watched the long march of the emperor penguins across the ice of Antarctica. 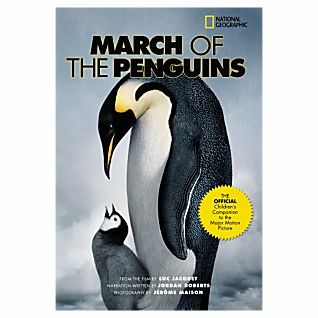 This book is based on the 2005 movie, March of the Penguins. Emperor penguins are one of the few penguins that mate during their winter. Their ability to mate and produce penguins in the harsh antarctic winters is incredible and unique. This is a great choice to read before or in place of watching the movie. The photographs and writing is, as always, top notch. I wouldn't expect anything less from National Geographic. Animals Close-Ups The Penguin: A Funny Bird. This book looks up close at the king penguin. It was very interesting to read and learn about the king penguin. Their breeding cycle, nesting grounds, and care for the chicks is unique. The pictures and captions are very informative. My only reservation in recommending this book is their ambiguity in word choice. When speaking about the king penguin, the book refers to them simply as penguins. I had to do further research and learn that although king penguins mate every other year, most penguins mate every year. A great book to teach students the importance of research and finding many different sources. 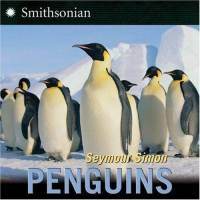 I love this book for its writing, illustrations, maps and penguin classifications It was the first book that showed the different categories of penguins: crested, banded, brush-tailed, giant, and two other penguins that are not closely related to any other group. It truly shows that penguins are both strange and wonderful! 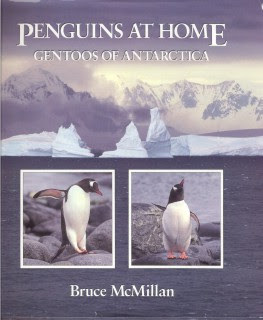 I loved this book about the gentoo penguins--but would not use it as a read aloud for young primary children. It is very long and in-depth. 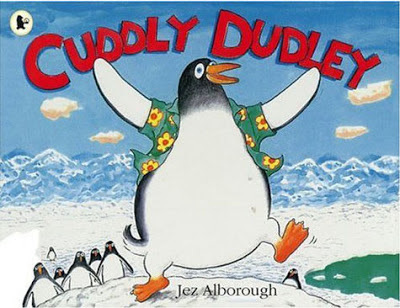 That being said, I feel I learned the most about penguins, and particularly this type of penguin from this book. For that reason alone, I recommend the book. 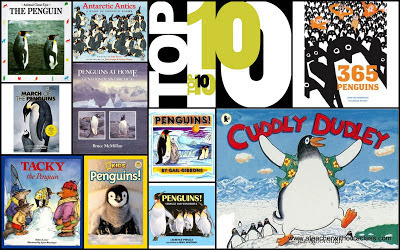 There might be the next 10 favorite penguin picture books post coming soon--and I would be remiss if I didn't mention Mr. Popper's Penguins a a great read aloud book in the classroom, but for now this is my list. You have terrific suggestions! I especially love the Antarctic Antics poems. I have the Scholastic Treasury at school and I put this on when we study penguins. 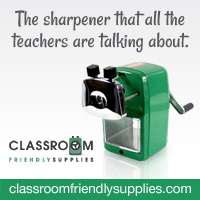 The kids go crazy for it and memorize every single song!